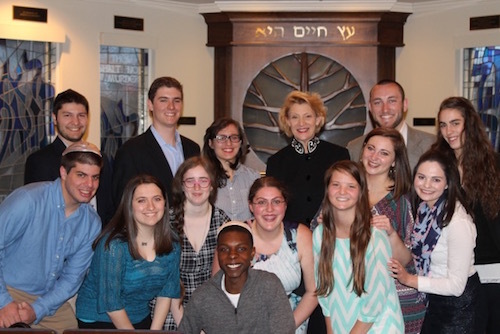 Appalachian State Hillel is a student-based organization that provides students with the opportunity to learn more about the Jewish faith and culture. While the Hillel membership is primarily comprised of Jewish students, we also welcome non-Jewish students to our organization. We socialize, celebrate Jewish holidays and culture, and act as the Jewish voice on our campus and in the community. The Temple of the High Country and Hillel maintain close ties and Hillel also frequently works with ASU's Center for Judaic, Holocaust, and Peace Studies. For more information about events or Hillel, see the club's webpage at hillel.appstate.edu or e-mail hillel.appstate@gmail.com.